For a limited time get 2 months free when subscribing for a yearly plan. 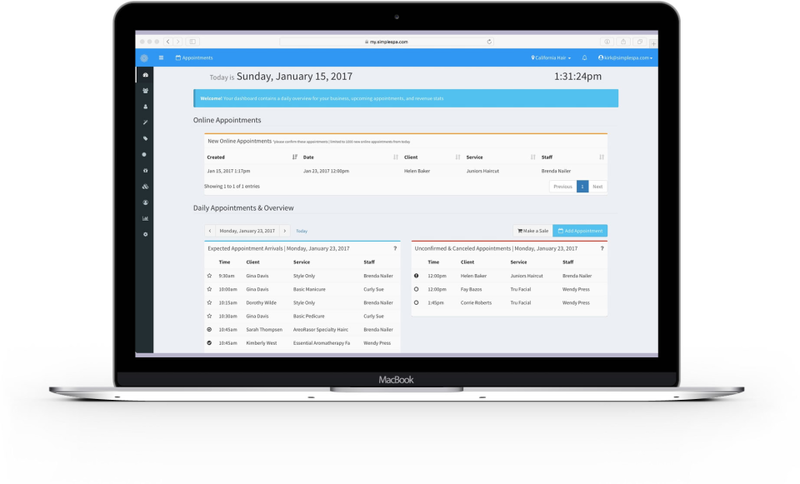 SimpleSpa is an easy to use web based app that lets you manage your appointments. 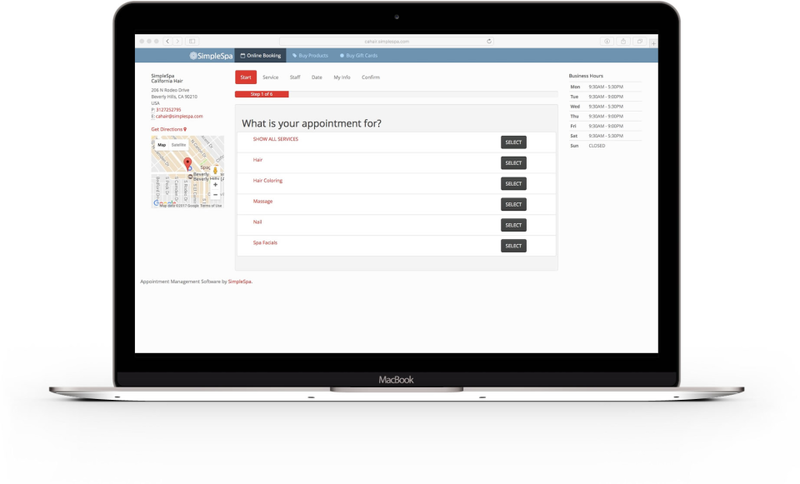 It lets your customers book appointments with you even when you are unavailable. 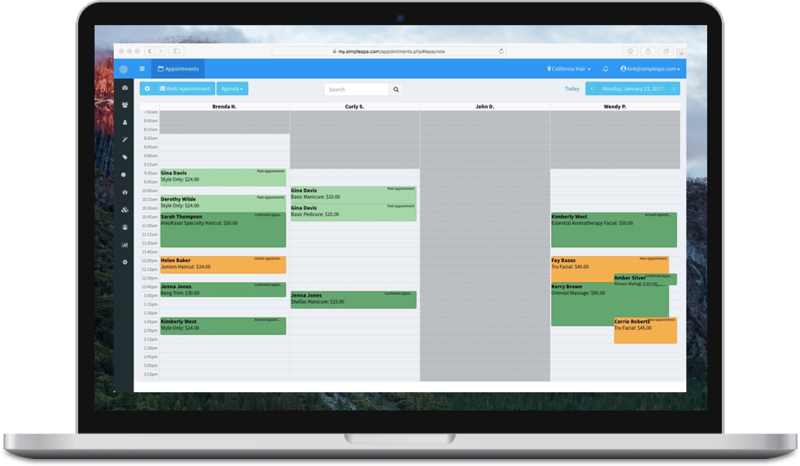 Get more appointments booked than before, with a responsive & clean appointment booking pages, booking button for business website, Email appointment confirmations & reminders, employee scheduling and a lot more. Get your SimpleSpa account now! Overall: I think my title says it all, we are all very happy using this software my choice was first made in our salon a few months ago in Greece and now in Portugal that we opened up I cannot be more happy with this decision. My front desk needed only to know how to use a computer, because SimpleSpa is very easy to use booking was done with no training. And the wonderful part is that I can be anywhere in the world and monitor exactly what is going on in each store, planning on opening more in another country and this software is the software I now recommend for anyone starting their business. Overall: I am very meticulous with our selections, and our dutch nail bar needed to start sending out reminders both to improve my relation with my growing customers and second to be more productive. I tried a few software like Shedul, Acuity and then SimpleSpa - shedul I read was backed by a company called surge ventures which seems to have stopped doing business and there was no phone support second there was acuity which looked nice at first, but lacked features and was actually harder to use but not awfully hard, I took another swing and also tried out SimpleSpa software and I found everything I needed to run my appointments and most importantly send reminders as Texts and as Emails which they actually get delivered (shedul delivered one out of every 3 and I didn't have a way to check if they had been sent out etc.). Well to make a long story short and my lesson which I want to pass on, is first there is no such thing as free software especially when you want to have something to run your business, second try this software, it is excellent, the customer care people are always helping us (we wanted to embed on our site and they helped us right away), and finally the price was more than reasonable which I don't have to worry about it. Overall: First class service all the way, all I wanted was to know that if I had an issue someone would reply to my boutique. And you guys deliver. thank you for being pros at what you do. We moved from an expensive program we had, and tried a few free ones but let me be honest I don't trust the free stuff, you get it, rely on them and all of a sudden they either close or start charging you an arm and a leg. My decision to go with simple spa was your easy in use environment and awesome client service. Pros: Great features, and very good rates. Very frequent updates, any problems we had were solved right away. Cons: Wish it was free! Pros: The software is easy to use, pretty intuitive. With a bit of set up time, it should meet the needs of any spa. Pricing is excellent and customer support is always available and helpful. Cons: Lack of integration with 3rd party apps and vendors. 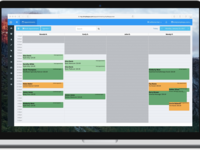 Overall: We needed spa software desperately to more effectively manage our bookings and customer communication. The SMS messaging feature has saved loads of time and effort on the part of the staff. There were a few small hiccups with the database upload but once those were ironed out, everything has been working really well. 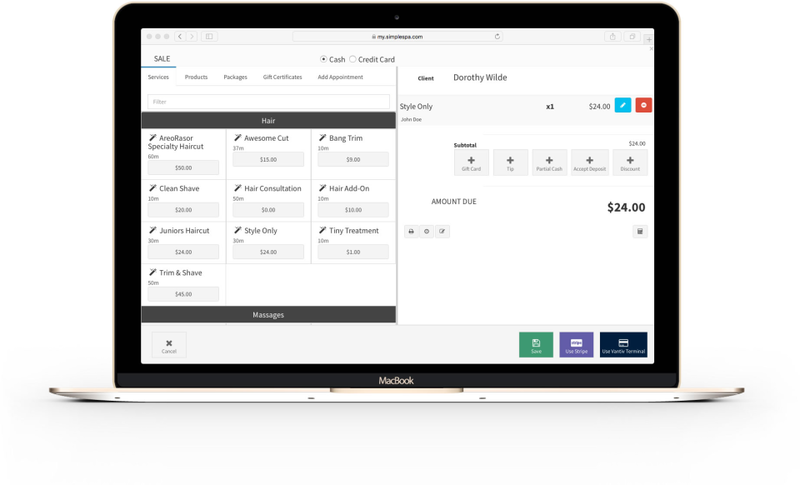 Overall: This software was one of our options a month ago, and we decided to go with SimpleSpa no looking back because 1. this software is easy easy easy, and 2. the people that run this team and software are helpful made our life easy by adding our services for us (for FREE!!!) I sent them a paper document with all our services and they added them one by one for us. We are now using this in 2 locations and it is working like a charm, no problems and I just think that writing a few words is the least I can do because this software works flawlessly and I love it. Recommendations to other buyers: There is a lot of software out there, this one is easy, straight forward and you don't need to waste time teaching your staff on how to use it everytime you get a new professional or new front desk employee. And their after care service is the best, immediate responses. The best customer service ever! Anything I need they make it happen, modifications, reports etc. Pros: The price is great. Ease of use. They grow with you. Great service. I'm thrilled with this product and company. I have no negative comments. This company and software has surpassed my expectations. Very surprising considering the great price and amazing customer service. We do not need online booking. This program has dramatically reduced late and no-show clients. Thank you Susan, your feedback is always fantastic and we learn to get better and serve you better. Pros: I am using the SimpleSpa system for one year, customer service has been there to help me when I needed which is a pleasant surprise when as a single person business we are always left behind. The texts are amazing, and my clients are reminded of the appointments and they can also reply and confirm. Recommendations to other buyers: If you are switching as them to help you out, they added all our services one by one for us without an extra cost. I gave them a huge file of 1 thousand clients and they also put that in for us. Pros: Very user friendly, and as mentioned before customer support is outstanding, I would never even think to go with any software where there is no personal communication or contact. The fact that I can discuss any question via Skype is amazing as supposed to sending someone a ticked or email than waiting for reply and if the answer isn't what you want you have to send another ticket, that to me is a nonsense. The help I have received from customer rep and his approach and commitment to the client is absolutely fantastic, I would recommend this software to anyone. Overall: I moved from freeware software to simplespa two weeks ago, they helped me add my services without an issue, and I learned to use the software really fast, without the need to read some long video on how to add an appointment. So the reason I moved to simplespa was because the pricing was simple to understand and I wasnt confronted with surprises like I noticed when I wanted to do more things on the free software. The features are abundant, I can make my emails custom, my booking page includes my logo which is great, and I have control over my SMS reminders which is fantastic. The customer service reply time is/are immediate, they are friendly and most importantly they listened to my business needs. I am alone running my spa, but I have the feeling I can rely on them. 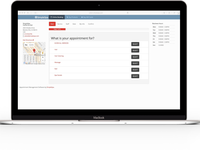 I have tested 30 appointment booking platforms, and this is BY FAR THE BEST!!! Overall: 1. My therapists receive notifications of when a client books an appointment, and can respond accordingly - which helps to maximize productivity. 2. I can get a good picture of how the business is doing financially. 3. We can customize a secure intake/soap note form. 4. I am able to track our marketing campaigns to get the most out of our advertising budget. 5. I finally got to talk to a Customer Service agent who cares about me (THE CUSTOMER), and not just a sales person. Comments: First of all finally a company which has good customer service, I switched from Mind and Body and this is probably the best decision I made for my business. MBO was too complicated and with SimpleSpa this is easy, and by far the most superb customer service I have ever experienced. Everyone I needed to talk to was extremely polite, they spent a full hour asking me about my needs and showing me how their software can benefit my small tattoo business (I got into microblading). 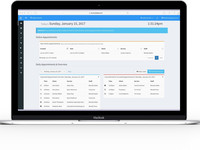 Well this software does exactly what I need including online booking with accepting payment deposits, I am full control of my data and I have software that is easy to use, and most important good people helping me. RECOMMENDED. What was I doing before SimpleSpa! Cons: I really can't think of something but I would like SMS which I have requested a week ago, they told me that it is in the process of being added. Recommendations to other buyers: If you are considering software I really recommend this, their support is always responding to my questions and everything I need this does. Only went through the initial 14 day free trial and all features are great except it's fee based. Pros: Online booking is sharp and can sell online gift certificates. Client can receive a custom questionnaire to fill out that gets sent back with the appointment. Did not experience tech support but sales will normally get back to you within an hour to four hours. Cloud based software with back up systems in case there is a crash on the main server. Comments: A few months ago I switched over to Simple Spa, the transition and trial on my end was paced so that I try it out properly, and make sure it covers my business needs; and my outcome is that this far surpassed all my needs. The email notifications are great, (online booking I have not yet enabled, but from whta I see in the settings it is very flexible), the SMS is one of my favorite features and my staff now cannot work without all the reminders they get, the appointment scheduling is really really fast, I had to change my reception and the new staffer needed barely any training. Their customer care is wonderful and always responding if I ever need something. HIGHLY RECOMMEND! Comments: We are a chain of hotels in the US, Canada, UK, Greece, Brussels, and we decided to go with SimpleSpa, we wanted software that was easy to use, and the training to be held at minimum if none at all. From the top 10 applications here, SimpleSpa was not only the easiest they offered us the best customer service, migrated all our data including our customers, and offered us a custom solution for our ORACLE backend, and to our surprise they never wanted any additional money. As an IT Department we are very happy with our decision and can't look back, this is strides ahead of anything we had and just easy for the staff. 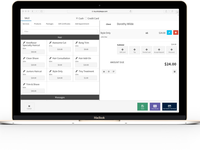 Pros: its a very complete system to manage, it has everything any spa owner will need. Cons: We had a little trouble setting up the online payments but it worked good, we were using other merchant account so now we had to get set up at the company they work with. Comments: All I can say is that SimpleSpa has been our companion for my small all day spa the past 10 years, and the past month I have been slowly moving to the new SimpleSpa that is all online, I must be honest that it was quite shocking to make this transition, but the customer care has always been there to assist me so guys my first 5 stars is for customer care, the second 5 stars is that it is even easier to use than before I LOVE THE EASY appointment booking and the final overall 5 stars is that you are adding stuff for my business and on the software! Love the software and couldn't recommend it more. Comments: Just signed up, so far very impressed, I have a 7 team business, not big, not small! They extended my trial, but I decided to go with them long term and I am not regretting this decision at all. Customer Service is excellent, and they are constantly adding features that just make my business, and running my salon easy. And best of all there wasn't a learning curve for my staff, unlike some other software I have tried. My customers are very happy to get email reminders (which is free) and I have also added SMS notifications which includes a messages to my clients and to my staff. Pros: Very happy, can't say more than that. Overall: If you are not using this software, I recommend that you do. It has all the features I want and doesn't make my life difficult. Comments: We have been with SimpleSpa for years, the recent changes and this big update was a huge surprise to us. I am writing this review because the new SimpleSpa is the cheapest solution we have found. I had a request for a feature and they added it for us in a matter of days which makes me so happy to know that I have a company I can trust. Overall I highly recommend SimpleSpa to any business like our own. Comments: The least I could do is write a review for SimpleSpa, the past 30 days I have been using the new version that I was invited to use, and I have been delighted by both the changes and the customer support which has been always there for my needs. Features and requests I have made have been made for my business, and they always have gone out of their way to assist me. I cannot recommend SimpleSpa more. Comments: I am so happy with the new SimpleSpa, I have been using another cloud based system for booking appointments, and I was getting fees for features that I was either not interested or just didn't need. So I dove in a few trials with various software, and I stuck with this software, simply because it was really easy to use and book appointments, both for my customers and also from my front desk. Comments: I was looking for Gym software a few weeks ago and stumbled on SimpleSpa, basically I needed class management and I gave this a shot, noticing the lack of classes I sent them an email and they gave me access to a beta version of their software that supports classes. All I can say is that it is awesome and if you have a gym I cannot recommend it more when they release that feature. Comments: I am sharing my love for SimpleSpa, they gave me an additional month for free on top of the 2 months free I am getting to paying per year, I am super happy that the support has been there during my trial, and I am really happy with the software. Comments: I am new with SimpleSpa, and very positive with my review, what is the main seller is their customer support. They are always available and respond to everything I have requested. Thank you for the convenience you provide to my work.